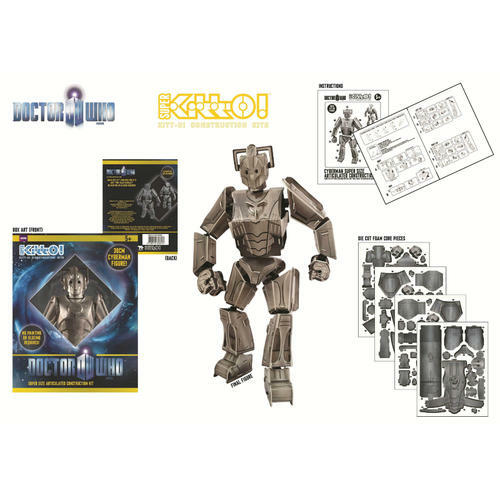 Super-size articulated 30cm Cyberman Kitt-O! Construction Kit. 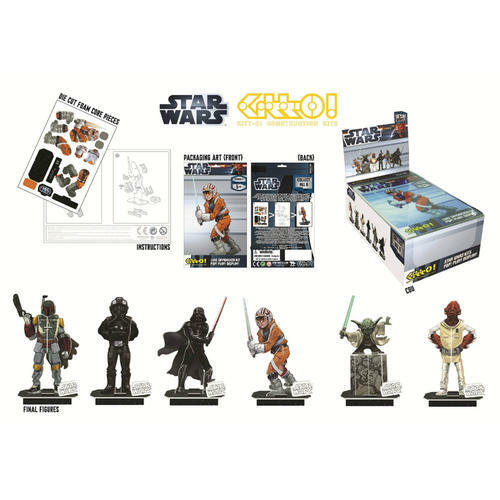 Ideal collectable for fans of the series. Officially licensed. 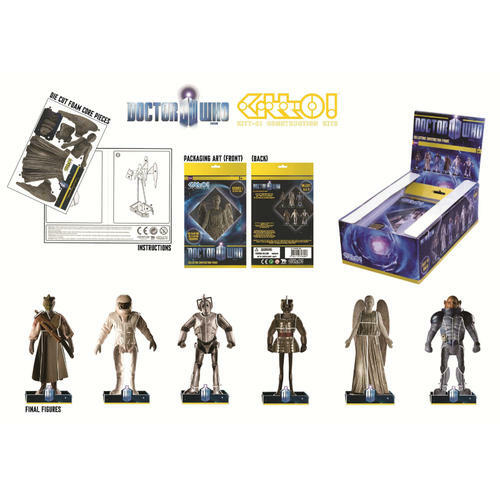 An assortment of construction kits based on the ever popular Doctor Who franchise. Come complete in a cardboard CDU. Officially licensed.